Employees can complete their daily rounds up to three times faster and can do so more frequently when using a Segway PT versus walking. the Segway PT allows a rider to get from Point A to Point B more quickly and with less physical exertion. Employees can accomplish more without feeling fatigued at the end of every shift. 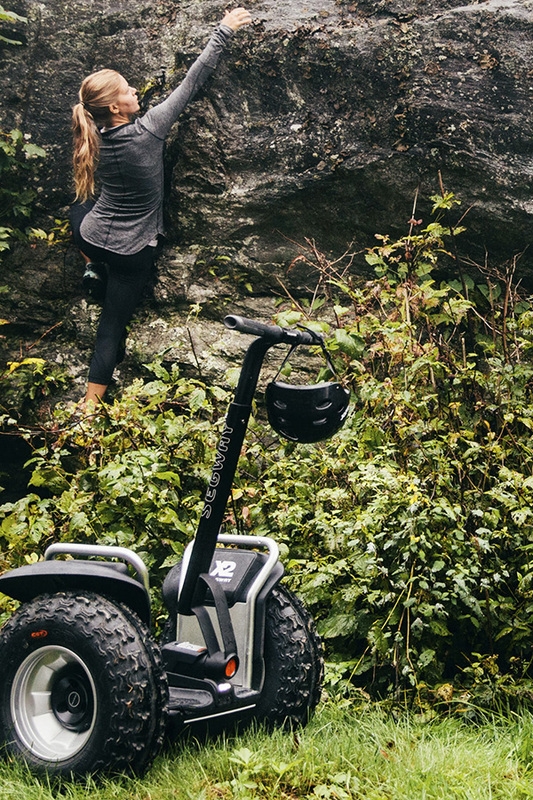 The Segway PT’s higher platform height affords riders improved sightlines and visibility within their environment. This is especially helpful in industrial settings or crowded pedestrian areas. Do you want to do something different, add something new? We can help you create a program using the Segway PT tailored to fit your location and your budget. Whether it’s putting in a Segway Experience Track, having a Rental Program, or developing a Segway PT Tour, we can help. Find out how you can create the Segway Experience in your business. Whether your company is seeking to reduce their carbon footprint or to reduce the costs associated with traditional fuel vehicles and their maintenance, the Segway PT can improve both. Read the Energy Efficiency Report from Segway Inc.
Segway Inc and the Dealer network have partnered with First Mutual Finance for simple and affordable Financing for both corporate and recreational environments. Click below to learn more about the fast, easy, and secure way to finance your investment. All training, technical support and on-site service are provided by our local and professional staff. Segway of Utah is the only “full service” Segway PT dealer in Utah providing tours, special events, corporate rentals and mobile media marketing. Delivering excellent customer service and quick response times are of paramount importance to us. No matter where your event is taking place, “we come to you ” with on-site delivery and product orientation. If you can’t or don’t want to lift your Segway, we will come to you. Repairs and Service for all Segway PT Models Purchased form your Utah Segway PT Dealer. Share your Segway experience with a friend.